Sell to Us Price: $621.22 each. 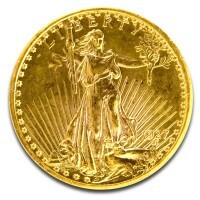 Money Metals Exchange is offering the U.S. $10 Gold Indian Head Gold Eagle Coin. In 1904, President Theodore Roosevelt was unimpressed by the design of the country's currency at that time and decided that a change was in order. 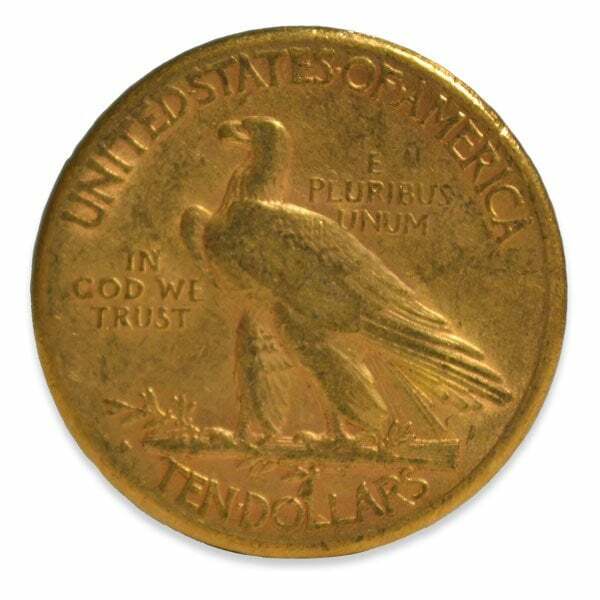 Roosevelt connected with famous U.S. Mint sculptor Augustus Saint-Gaudens to create more prominent US mint coins , with an artistic design that would better represent the United States of America. 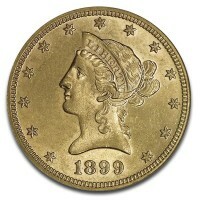 The Indian US gold coin also comes in the $2.50 Indian Gold coin and the $5 Indian Gold Coin. 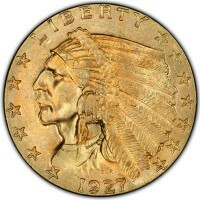 While supplies last, Money Metals is offering super-low premiums on $10 Indian Head U.S. pre 1933 gold coins. These coins may be in polished or cleaned condition and are NOT slabbed or graded. Some coins may have extensive wear. Lady Liberty (obverse) - It shows Lady Liberty wearing a Native American headdress, thirteen stars circling the upper, and the mint date. Standing Eagle (reverse) - The reverse captures an American eagle standing with confidence on a bundle of olive branches and arrows. Please note that Money Metals would absolutely not be offering these types of coins if it were not for the attractive bullion-like premiums. These antique coins are super cheap, and whatever premiums that existed in the past have essentially evaporated. We also sell a large variety of fractional gold and silver. If you're wondering "Should I buy fractional silver and gold? ", the answer is yes. It gives you a variety of sizes in different metals and is a more afforable way to build up your holdings. 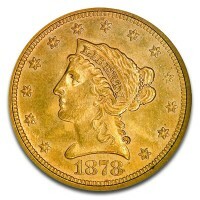 When these historic gold coins sell at prices which reflect their actual gold content, as is the case today, they are one of the best us gold coins to collect in terms of value. Our current buy pricing is $621.22 each and we will buy up to 40 ounces at this price. Simply call us on any weekday to lock pricing at 1-800-800-1865. Very nice grade coin for a billion coin. Will purchase more. Always prompt shipping, been buying from these folks for years and never a disappointment! Both coins from 1911, beautiful design. Granted, they are circulated, ungraded coins, but I was disappointed in the one having very noticeable knick on edge of coin - shows up on both sides, and scratches in front of Indian's eye. I have bought pre-1933 ungraded coins from MMX before and they had no such obvious damage. 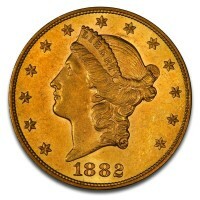 All in all, it's still a beautiful coin and wonderful piece of history and like MMX stated they buy their coins back. Nevertheless, f it weren't for the knick/scratches, I'd give these coins a review score of 5 stars. 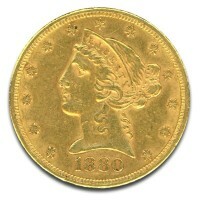 Wonderful $10 Gold Indian Head coin! Beautiful ungraded coin. A wonder to add to my collection. Much better quality than I expected. Thanks MME! 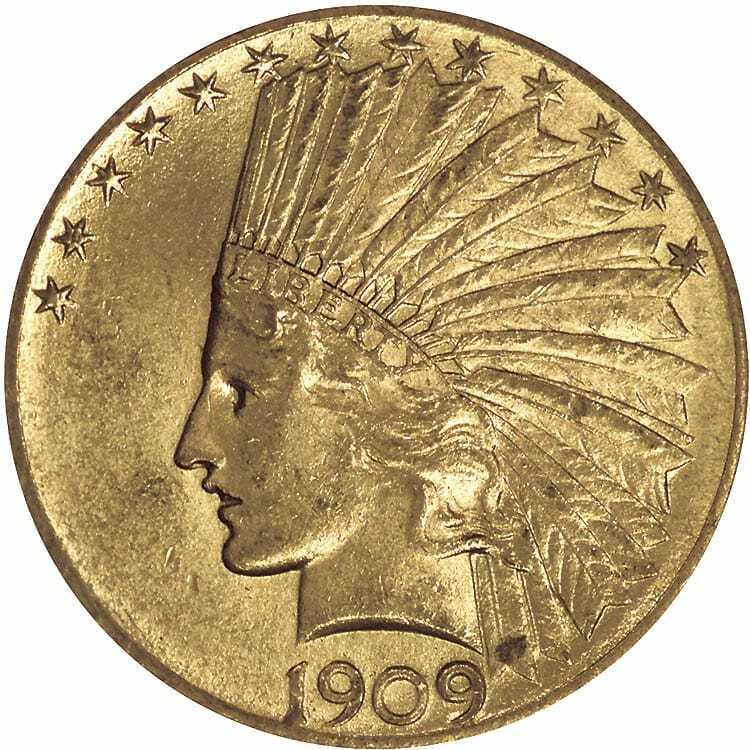 You can now sell your $10 Gold Indian Head (1907-1933), 0.4838 Troy Ounce Gold Content back to us online, at a price of $621.22 each!